VidMate Video Converter is the most stable and comprehensive multi format video converters available and is very easy to use. 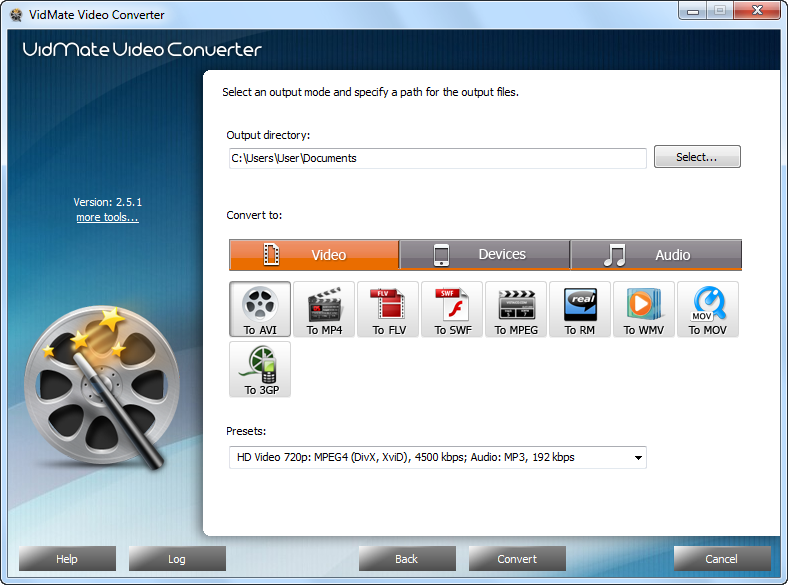 With this video converter, you can convert your videos to both video format and audio format as well as to some portable devices. The supported output video formats include MP4, AVI, WMV, MPEG, FLV, 3GP, etc. You can convert video files, YouTube videos, movies and MTVs to these video formats to enjoy movies on your desktop PC, laptop and so on. The supported output audio formats include MP3, WMA, WAV, OGG, etc. You can extract music tracks from videos to these audio formats to enjoy them on your MP3 player and other music players. The supported output devices include iPod, iPhone, iPad, Apple TV, PSP, BlackBerry and many mobile phones. You can convert your favorite videos to latest mobile devices. 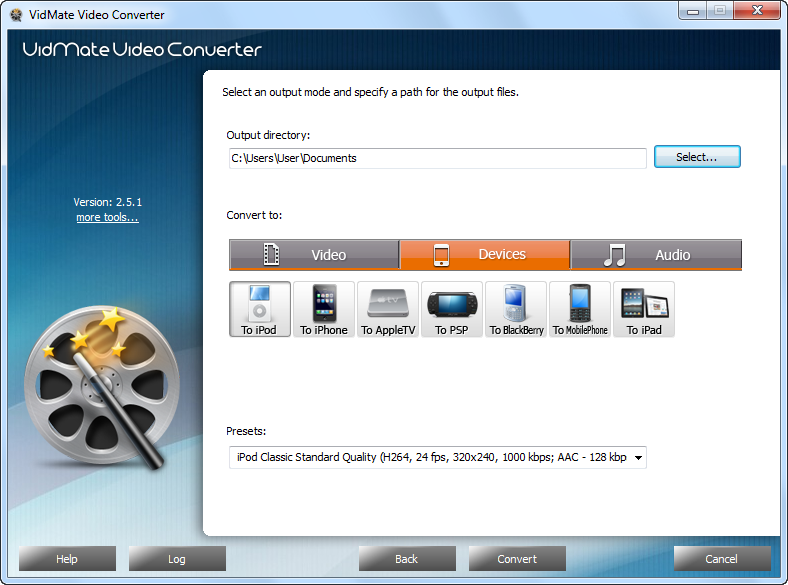 VidMate Video Converter supports most popular output video formats to meet your demands. Multiple output devices such as iPhone, iPod, PSP, etc are supplied for you to choose to play your favorite movies. This smart video converter also allows you to extract soundtracks from videos to audio formats to player on your music player.